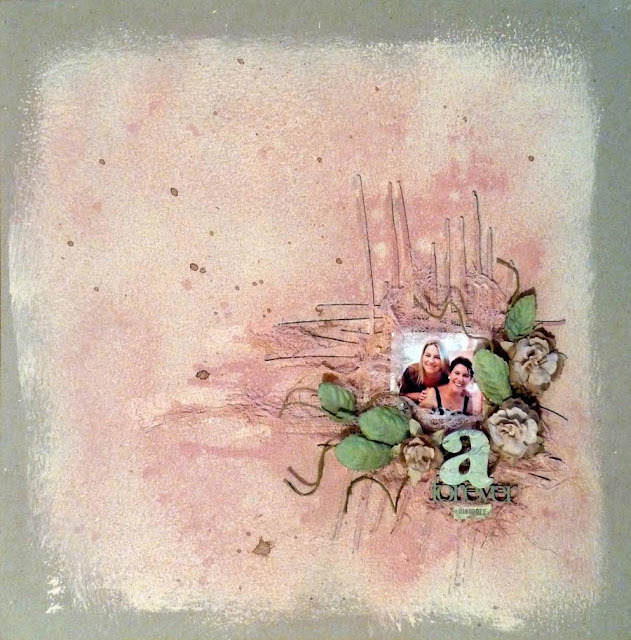 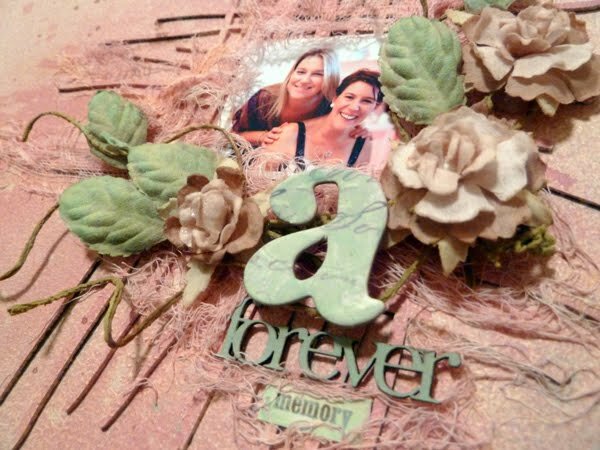 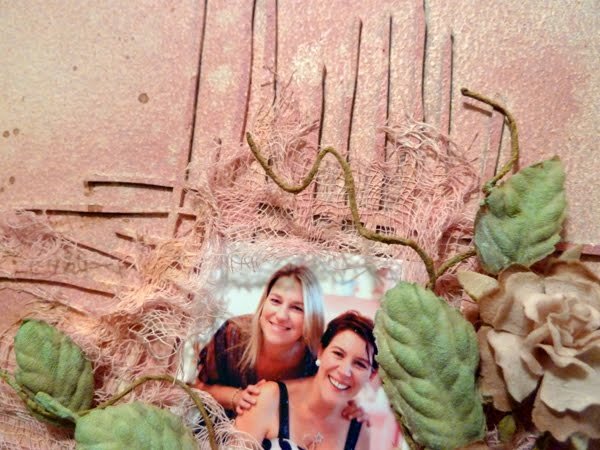 Layout – "a forever memory"
I first glued the chipboard hessian square to the background using a glue stick. 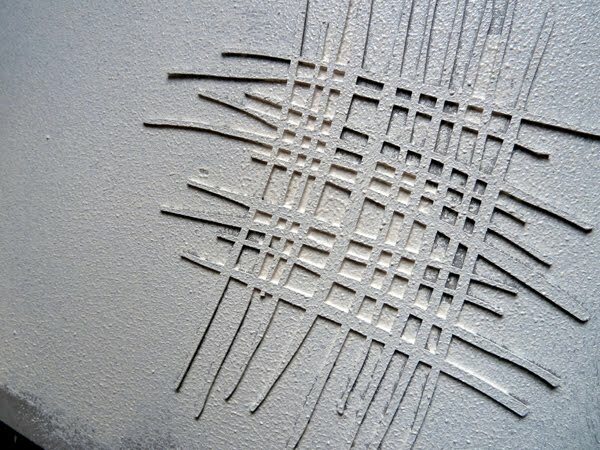 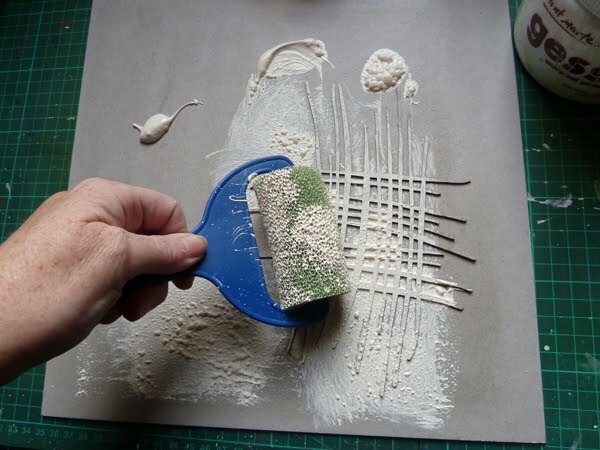 Using a coarse foam roller, roll out and cover the layout background and chipboard with the paint/gesso mix. 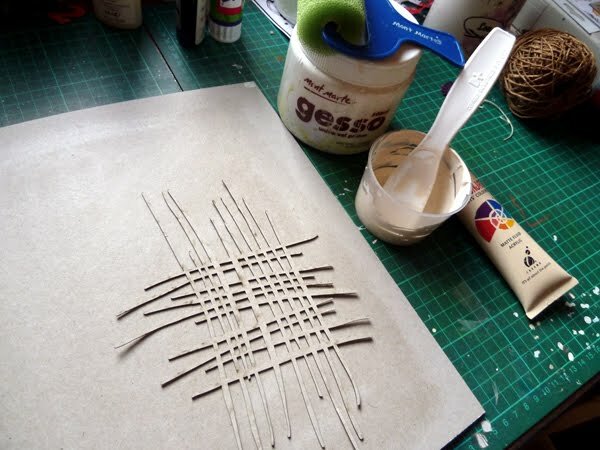 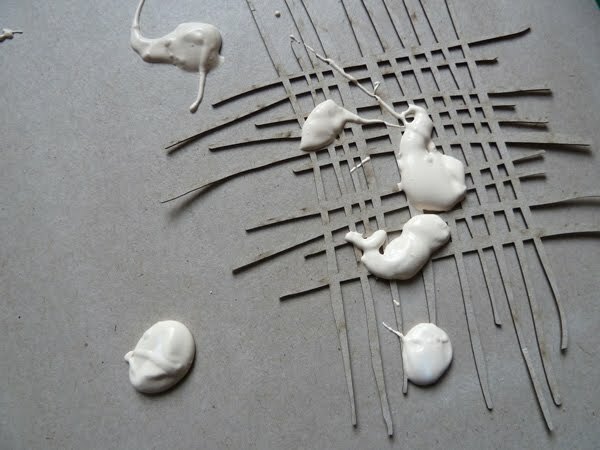 Don’t over roll the paint/gesso mix otherwise you will loose the lovely coarse bubble effect of the paint and gesso. 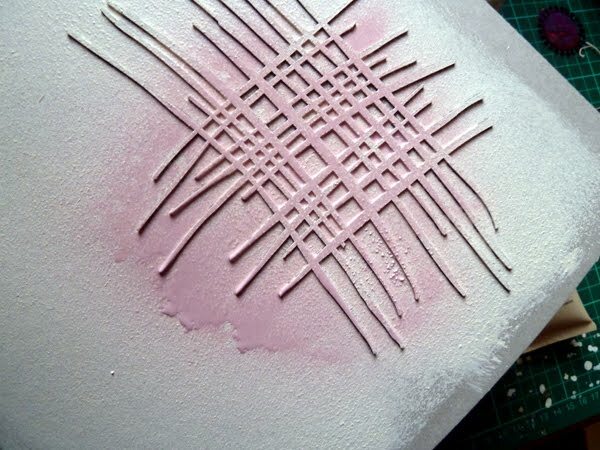 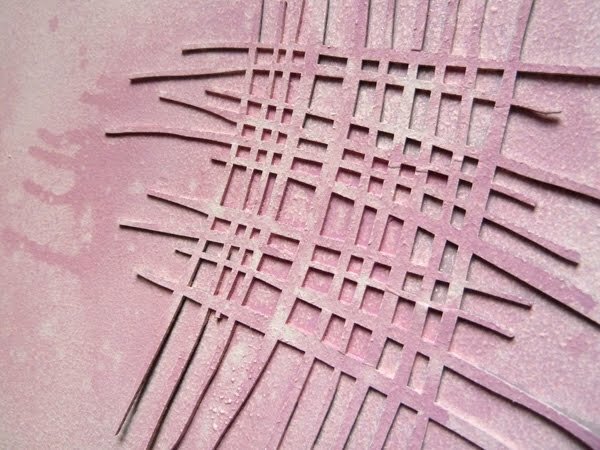 I usually use mists, but for this particular colour combination I needed to mix some pink paint with water and put it into a spray bottle to get a colour match. 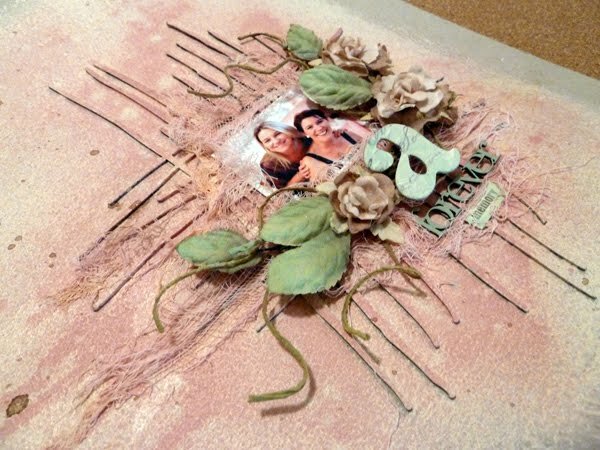 This was then sprayed liberally over the chipboard embellishment.